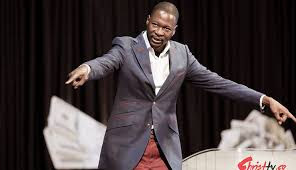 UNITED Family International Church (UFIC) leader Prophet Emmanuel Makandiwa and his wife, Prophetess Ruth, are seeking dismissal of the $6,5 million claim pressed against them by a Harare couple over alleged false prophecies, arguing that the suit was “frivolous” and “vexatious”. question showing that the prophecy was targeting Mawere’s wife, who had problems with her husband. Prophet Makandiwa stated in the affidavit that the couple never engaged Mawere as alleged. Instead, Prophet Makandiwa said, Mr and Mrs Mashangwa engaged the services of Mr Tichaona Govere of Govere Law Chambers for his case.